If you were holding out for additional designer series Mega Man figures by TruForce, boy, do I have some bad news for you. 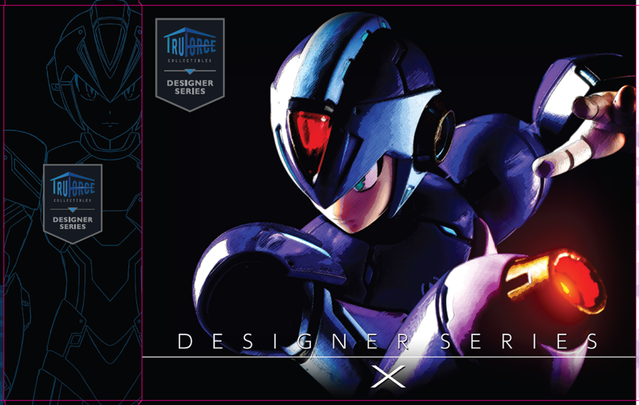 TruForce today announced that – despite the success of the first Mega Man X figure – there will be no more figures coming from the line. "Hi Everyone and Happy New Year! We just wanted to provide you all a much deserved update about the state of TruForce Collectibles. We know you all are clamoring for more figures from the Mega Man line but unfortunately there are no plans to produce any new figures. Despite the first figure's tremendous success (thanks to all of you! ), we were not able to able to work things out with the licensor in terms of designing any new figures. We tried tirelessly but were unable to come to terms on a style that followed the first figure and thus the decision was made to drop the line. That's not to say the TruForce Collectibles brand is 100% dead as there are still other projects we'd like to pursue in the future and as soon as we have any new concrete plans, you all will be the first to know. Thank you all again for your unbelievable support and helping us create something truly special for the collecting community!" To date, TruForce produced four X figures: the vanilla Ver.Ke model (which recently made its video game debut in Marvel vs. Capcom Infinite), the X-Boost model, original character X Kai, and the Kickstarter exclusive Test Color X. 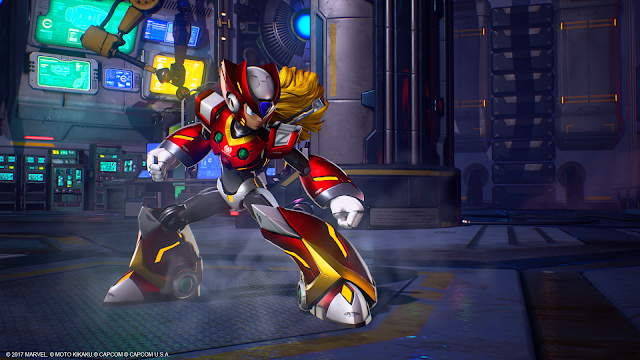 Although no specific plans were announced, it has long been implied TruForce were hoping to produce a Ver.Ke Zero figure (also appeared in MVCI) and a Ride Chaser to complement the line. It's unfortunate to see that these concepts and beyond will not be coming to fruition. I'll let you know if there's any further updates on this front. For now hold your figures close. Also, you might want to buy one (or all of them) now before they become crazy rare. So despite the success, that's it huh? Sounds about right for this franchise. Uh cancelled Mega Man lives matter? Well, if you think about it. All four figures are just recolors of that april fools design. X-Kai was pretty cool, though. Strange "they couldn't come to terms with the licensor for designing any new figures." I'd say after it's debut in MvCI, the ke.ver Zero is a ripe candidate. It's polite language for "We wanted to make more, but Capcom was charging us a gorillion dollars for the privilege to keep making Mega Man figures!" wich sounds about obvious for any Capcom related bussiness choice nowadays. Right? Does TruForce not know about Zero Ver.Ke? I'd be surprised if CAPCOM specifically declined to let TruForce model a figure after Zero Ver.Ke, but I suppose anything is possible. How could you even be possibly surprised by Crapcom canceling Megaman stuff in 2018? They've long said that they couldn't do anymore figures in this style due to some sort of licensing issue with the specific designer having left Capcom. It was never stated or implied that a Zero was coming in this line either. Yes it was. There was a YouTube interview a year or so ago and a rep said they wanted to do Zero. Wanting to do Zero and stating or even implying that Zero would actually be made are two very distinct things. Here's what happened to my understanding (as a former employee). Truforce was an attempt by Bluefin (a distributor) to get into the action figure game themselves, instead of just distributing for companies like Bandai Japan. At the time (2013), Sentinel had contacted Bluefin to distribute their products in the US, as they were just a manufacturer with offices in Japan and China. A deal was created where Sentinel would create the first figure for Truforce, but wouldn't get the credit other than in fine print. Sentinel was not happy, and after designing the initial figure, they were no longer willing to work for Bluefin and pulled out. They acquired the Megaman license from Capcom themselves, and began creating figures at the 4" mark, as their deal would allow. So now without a factory or designers, Truforce became just a name, and was only able to reuse the same mold over and over. Bluefin decided to stick to what it knows best, which is being a distributor. Hope this shines some light on it. Kinda got what they deserved there. That's exactly what I intend to do. I don't want to suddenly buy one in the future and see the lowest selling price for one as $350.00 or something. I think we all did, really. The above Anonymous posting by the former employee is very illuminating, but I think the fact that the entire company was based around a one-off variant design of IP from another company was kind of the kiss-of-death. Their potential difficulties of getting another "variant" design approved were being discussed with the public long before their first figure was released. The reason it was posted anonymously (by yours truly) is because Bluefin's owner is notorious for taking former employees to court if they damage his ego (saw it happen twice while I was there). We all had to sign a non-disclosure agreement in order to work for Bluefin/Truforce, but even still, the truth must be known, even if it's just by those diehard Megaman fans. At least you now know the real reason they aren't making more figures. A Megaman figure line was cancelled BEFORE they announced a Megaman Zero figure? How expedient of them. No skin off my back, though. Those Truforce figures were pretty ugly and expensive. Like the Play Arts Kai line, I couldn't abide high-priced figures of great characters ruined by ridiculous design alterations that made no sense. Between that and making figures based on stuff like Man of Steel or Injustice just limits their long-term appeal. I'm sorry but that's just your opinion. The TruForce X is phenomenal as compared to HMO Collectibles X Statue so if you think this is ugly then I guess you must hate every single X design there is. The original is basic and Truforce added much needed details for additional mecha designs. Next you're going to be saying every single Gundam versions with more details are uglier and makes no sense compared to a plan white Robot. They're both pretty bad. That's the problem with the X series. It may not have the most screwed up MM fans, but it certainly has the most pretentious. And when it comes to fandom, pretentiousness usually leads to graphic violence, excessive melodrama, needless sexuality and ridiculously complicated character designs. All of which are trademarks of the X series, especially from X4 onward. The X hate is real. In the SEA region, the X series is the most loved one around for the past decade so I don't get where the 'rabid fandom' is coming from. 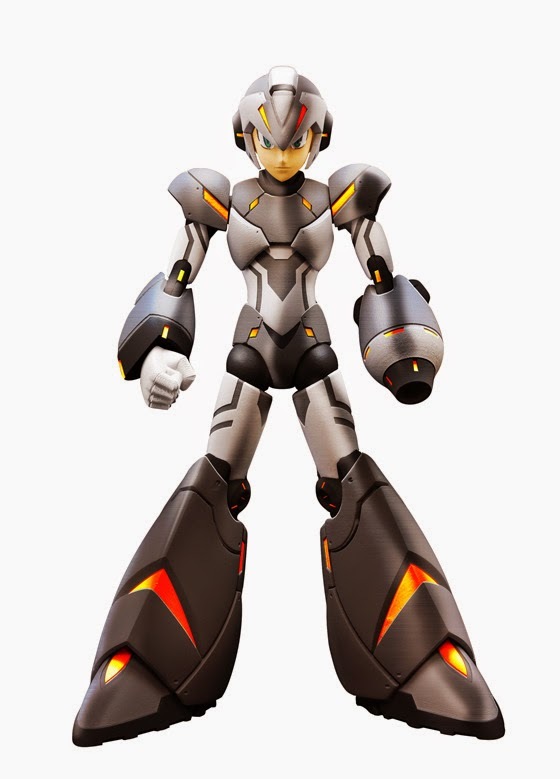 The basic Design of X is great. 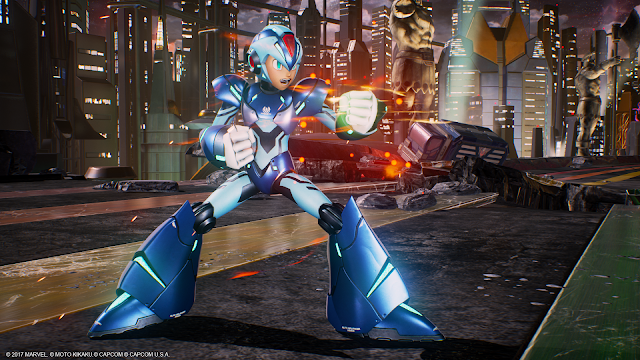 Truforce X design is also great as can be seen in MvCI's DLC along with Zero's. The HMO statue is absolute shite because apparently nobody sees how bad the face sculpt is. I'm not sure how we came to talk about fandom when this was about how great the figure line series is and not the X series. I mean what's next? D-Arts X Series is also bad? Cuz if it is then I guess I wasted my time commenting here. At least Protoman, Roll, Zero, and an armored X or two would be nice. yes. i agree. that would be wonderful. i'd love a storm eagle or boomer kuwanger. a quickman, metalman, skullman would also be cool. with everyone here on sentinel boss figures. i personally would love a grenademan. would be cool if they released a two-set of bosses with extra little stage enemies... and maybe some special weapon effects parts for rock. i would also kill for some upgrade parts for volnutt.